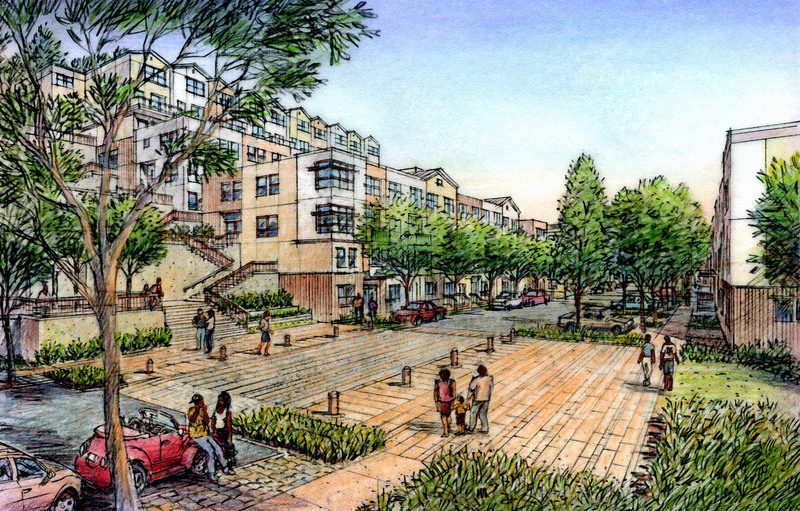 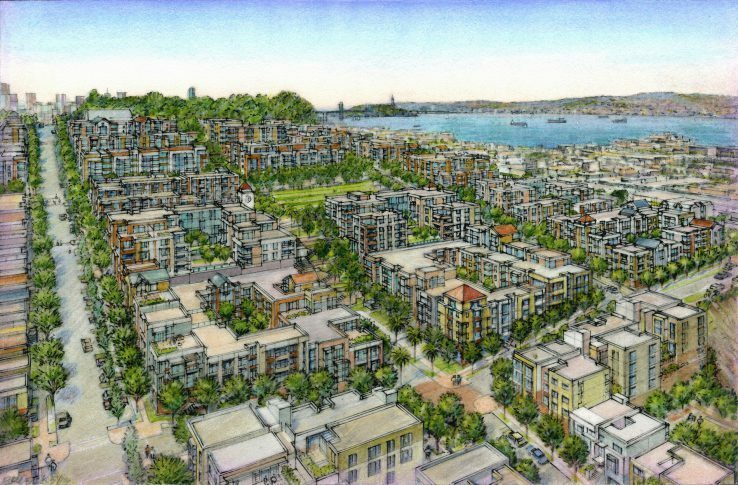 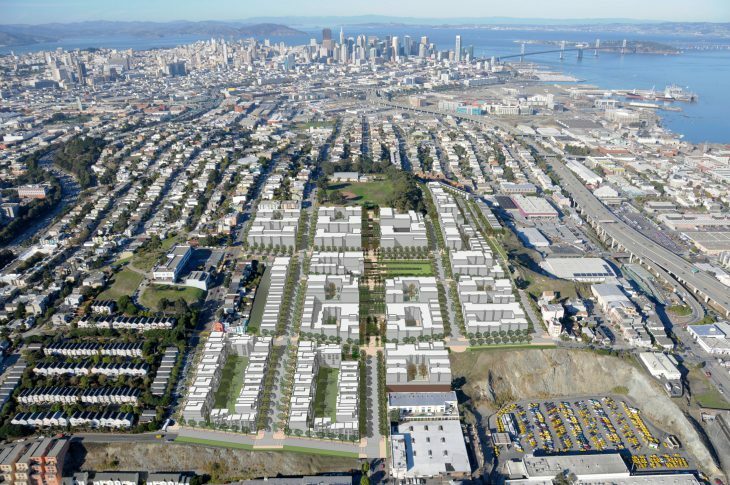 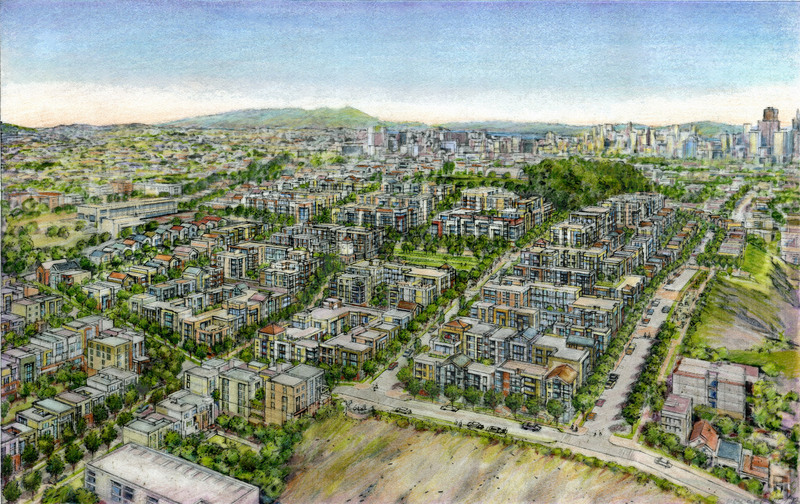 The Potrero Housing Authority site is located on the edge of Potrero Hill, a steep site with dramatic views of the city and the San Francisco Bay. 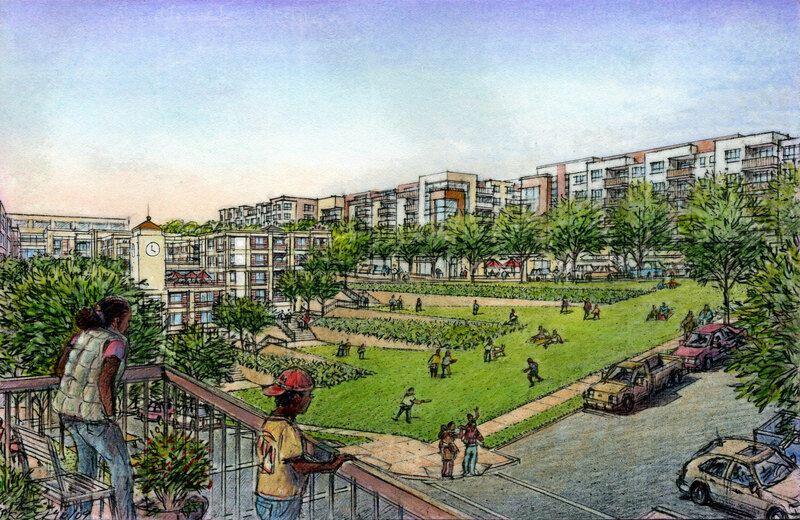 The transformation of this obsolete public housing site reconnects the street grid with a series of blocks similar to the surrounding neighborhood, provides new parks and recreational spaces, places buildings on the street with individual entries facing the wide tree lined streets, and creates a variety of housing types for a wide mix of incomes. To redesign the Potrero site incorporating the patterns of traditional San Francisco neighborhoods providing good defensible space design, with successful, safe streets and open space. 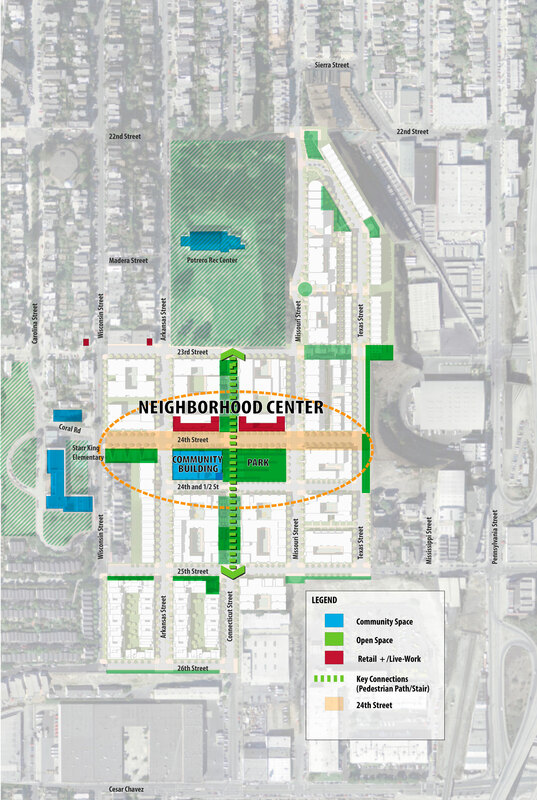 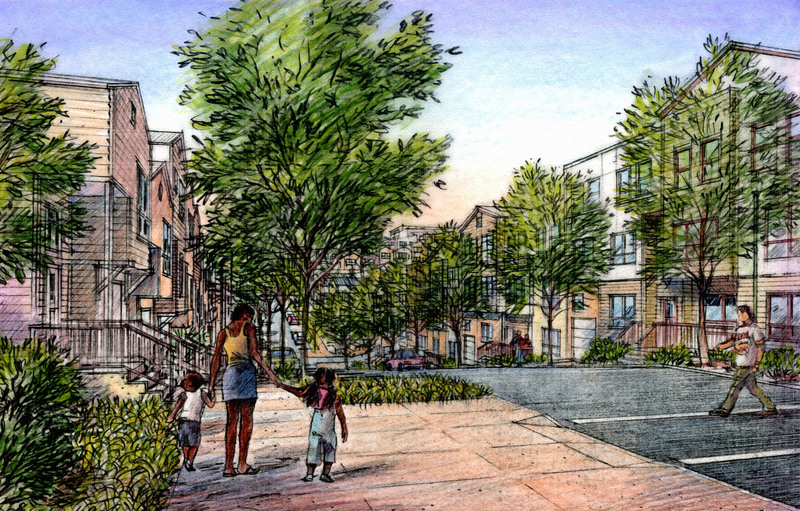 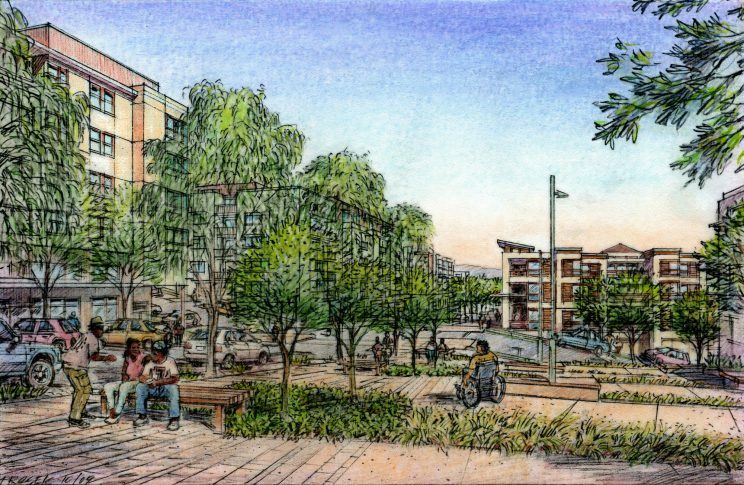 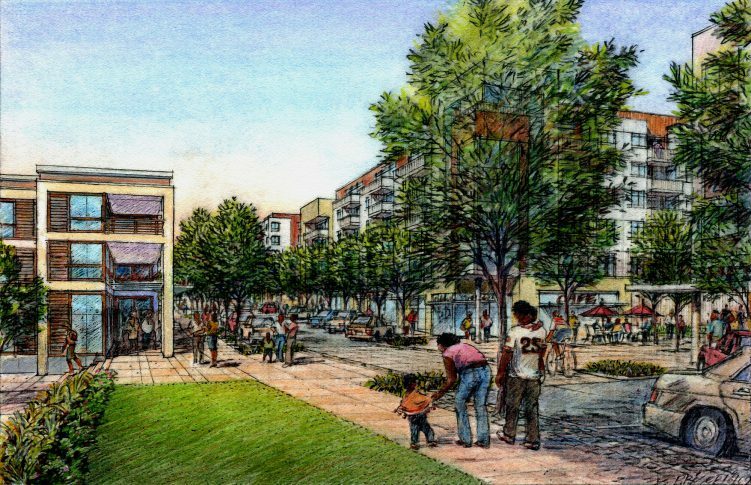 To replace all of the existing public housing units; to minimize displacement; to create an economically diverse community that is physically linked and integrated with the greater Potrero neighborhood. Worked with City of San Francisco and Community to evaluate multiple street patterns and land use concepts. 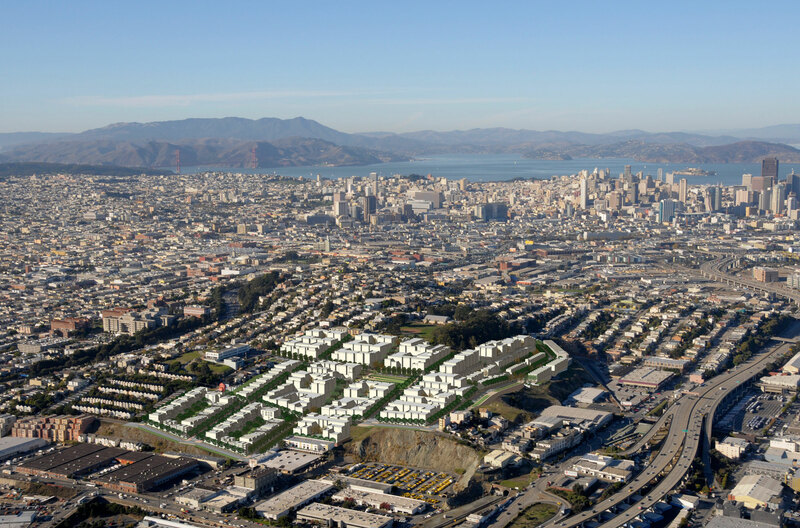 Created the Potrero Hope SF Design Standards and Guidelines document to govern development.